They’re all gone now, the Mercury 7. John Glenn died in late 2016, and knowledge of the first rides taken into space by Americans has passed from living memory. But while they were alive, Tom Wolfe managed to get them to open up about “that righteous stuff,” the unspoken stuff that the best pilots were made of. This, of course, became the classic book and movie, The Right Stuff, which told how America’s manned space program began. Much is written about the Gemini and Apollo astronauts, with most of the Gemini flyers moving onto Apollo and some, like John Young, even making it to the shuttle era. But Mercury, literally a pod stuck atop a ballistic missile, was its own thing. Hell, they were inventing spaceflight. 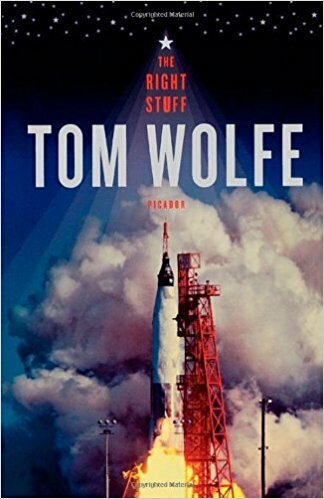 Wolfe portrays the seven – Alan Shepard, Gus Grissom, Glenn, Deke Slayton, Scott Carpenter, Wally Schirra, and Gordo Cooper – as America’s single combat warriors against the Russian menace in the heavens. As it’s pointed out, the Russians were actually winning the space race even when Mercury ended. Shepard’s suborbital hop prompted the Russians, or rather “the Great Integral” as Wolfe dubs the shadowy head of the Soviet space program, to launch Yuri Gagarin into three orbits just weeks before. But by God, Shepard pole vaulted to the to of that great test pilot pyramid by being the first American in space. Then John Glenn leap-frogged him. ﻿ Mercury, early on, actually bothered the first astronauts. The capsule would be controlled largely by automatic systems with no window and no real hatch. The astronauts were to be guinea pigs. Well, just from Wolfe’s accounts of Chuck Yeager and Scott Crossfield, the pioneers of the X-1 and supersonic flight, this would not do. They demanded attitude control. And a window. And a hatch they could blow. And being America’s seven greatest heroes, they would not be denied. Indeed, John Glenn managed to blow off Lyndon Johnson, who wanted to barge into the Glenn home for a photo op when Friendship 7‘s first launch was scrubbed. And there was not a damn thing anyone short of John F. Kennedy could do about it. Tales of Apollo and the shuttle program and the space station tend to focus on the technical. The first men on the moon were a serious test pilot (Neil Armstrong) and a nerd who would have been at home on The Big Bang Theory (Buzz Aldrin). Maybe Apollo 12 showed some of that Mercury bravado, but Al Shepard, ground for years and running the Astronaut Office for NASA, knuckled down on the moon to learn how to be an amateur geologist. But the Mercury 7 had, indeed needed, a certain arrogance and swagger to pull off what had never been done before, going into space. Indeed, by the end of the program, Shepard and Slayton would be grounded, Grissom would be an absolute bear about how his spacecraft was to be built. (Sadly, he couldn’t prevent the fire that killed him, White, and Chaffee in 1967.) Only three of the original seven remained in rotation when it was all over. But to go up there first, you needed that righteous stuff, the same stuff that kept a pilot from ejecting his craft when he knew it was lost.